App for First Time – Android or iOS? If you are building an app for the first time, you might be confused whether Android or iOS to choose to build your first mobile app. Smartphones have become a daily need of ours whether to remember a birthday, anniversary, or any important assignment. And these needs are fulfilled by many applications available for smartphones, and this application making market is on full rise daily number of application are prepared, and many first-timers are also trying themselves in this and being pretty successful, but the one question that comes to the first time application makers is that, whether to prepare the application for android platform or to prepare it for iOS platform. There has been a large number of discussion on this topic, but it truly depends upon the maker that where they want to have their first app, in Asian countries or in non-Asian countries. As the requirements and the market is very different in both the regions, the people from both the regions have different tastes in terms of to choose the desired platform whether an iOS or an android one. Google Play – 1,000,000+ apps. Android or iOS – How To Choose One??? As we know that the apple smartphones are the using the iOS platform particularly and we also knew that the popularity and craze to have an apple device is on the rise in this whole world and in every country, there was much news related to that events. Being apple devices the cost of the device is just beyond the normal limit of many people as compared to that of an android device. If we talk about the data based on a survey, nearly 20% people have apple smartphones by them and nearly 80% of people in this whole world are using an android device. But talking about the profit, apple smartphones have a whopping 85% profit market as compared to androids platform profit market. If we do a comparison between the two platforms certain things will be clear and it may help to choose a platform for first timers to make an app. On the basis of the region, we can say that there are a large number of android platform users in Asian countries as compared to non-Asian countries like USA and others. According to a provided data, there are large numbers of apple users in specifically in the USA. If we talk about the popularity of both the platforms, apple wins it with a greater margin, but if we go on consumption basis apple is not even in the frame. 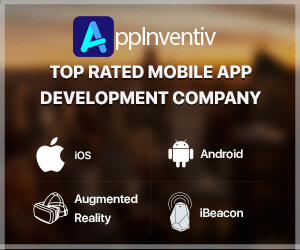 As being an app developer we are also focused on the profits returns, and in this field, apple dominates as it has all the paid apps as it is generally assumed that a customer is far wealthier than the android ones. The android platform provides you less profit as most of its apps are free of cost. Well in order to make an app for both the platforms, the expenditure is nearly same, sometimes higher on the android platform; it has to cover large devices. So, comparing on both the platforms it is very difficult to make any decision, but suggestion can be made, and it totally depends upon the maker to have its own choice to make its first app on which platform. Both platforms have their own benefits, such as Apple’s audience is more engaging and loyal, while Android lets you to expand your reach to a wider audience.